In this week’s edition, we give you some of the rationale behind why bitcoin fell to its lowest level of the year thus far, discuss China’s newest “cryptocurrency ratings” and explain why Japan just can’t seem to forget about the collapse of the world’s first bitcoin exchange – MtGOX – four years after its demise. BTC plummeted to a low of $5,815 on Saturday, its lowest price in eight months, before rising up just above the $6,000 mark by Sunday morning. The mother of all cryptocurrencies is now down some 55% for 2018, a year during which many late coming investors hopped on board with hopes of seeing price rises similar to those experienced in 2017. Instead, the year has been anything but, with prices perhaps still correcting from their magnificent ascent last year. Regardless of the steady downtrend in prices across pretty much all cryptocurrency markets that has plagued the first half of 2018, many talking head analysts continue to hold out hope for a complete rebound in the second half of the year. This time to blame for the continued slide was yet another hacking incident, when $30 million worth of BTC were stolen from Bithumb on June 20th. The South Korean exchange – the 6th biggest in the world at the time of the hack – said it had plans to compensate users affected by the hack of all funds lost. The attack coincided with a server migration taking place, which suggests that it could have been the result of an inside job. This is the second Korean exchange to be hacked this month, as the much smaller exchange Coinrail was hacked earlier this month (this incident was also blamed for a falling BTC price at the time, as well). South Korea’s recent string of unfortunate events isn’t stopping the country’s government from making investments in blockchain technology, however. $200 billion was earmarked for blockchain-related project development by the country’s Ministry of Science over the weekend – the largest amount of money ever put aside by a government for development in this fledgling area of technology. The money is to be allocated for a number of different purposes, including funding pilot projects, exploring ways in which the blockchain can be used as a public service, and to research the formation of proper legal guidelines in order to provide clarity for blockchain-based businesses within the country. China recently released their latest round of “cryptocurrency rankings,” the first national government to undertake such an endeavor. China’s Center for Information Industry Development (CCID), a division of the Ministry of Industry and Information Technology, has revised its monthly crypto project rankings for the second time thus far. Interestingly, recent-comer EOS (EOS) made the #1 position, even though it is still in the process of transitioning from an Ethereum-based token to its Mainnet, and not 100% operational as of yet. Ethereum (ETH) was moved down from #1 to #2, the China-based NEO (NEO) took the #3 position, and bitcoin (BTC) – bigger in market cap than all other coins combined – slid down to an unexplainable 17th place. Perhaps the most curious placement on the list was Nebulas (NAS) at #6, which is ranked #49 by market capitalization, and somewhat unsurprisingly, a China-based venture. 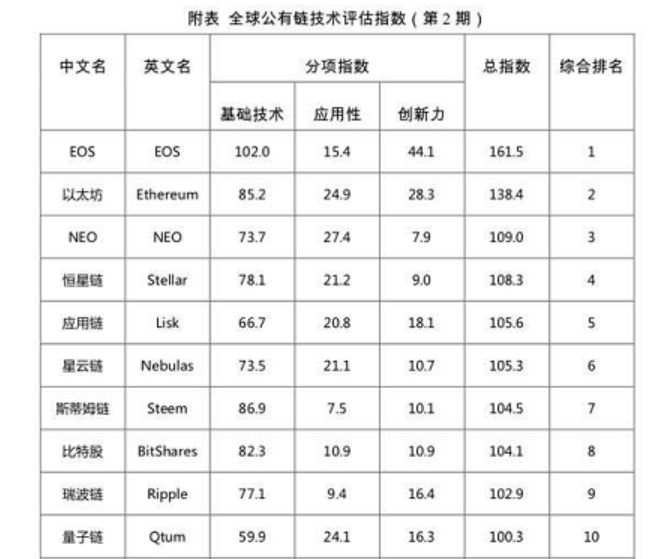 The Chinese government’s somewhat mysterious top 10 coin rankings. Also in China, home to the world’s largest bitcoin mines, a man was arrested in a Ponzi scheme-like operation involving the sale of mining equipment at prices substantially below the going-market rate. The 20-something year-old promised to sell mining equipment for 1/3 of its retail price, and in return all the customer had to do was wait a “couple months” for the equipment to arrive. The man used money from his second two rounds of customers to pay back his first round of customers, netting a 66% loss on each sale. After it was confirmed that he had filled his original orders, thousands more customers came on board – none of which received their orders. Instead, the man used the later customers’ money to buy luxury cars for himself, taking in about $15 million during the course of his short-lived operation. In Japan, bankruptcy proceeding against failed exchange MtGOX were suspended by the Tokyo District Court so that “civil rehabilitation proceedings” could take their place, as it came to light that bitcoin allegedly held by the exchange could be worth four times the amount of total amount being sought by creditors in a lawsuit. 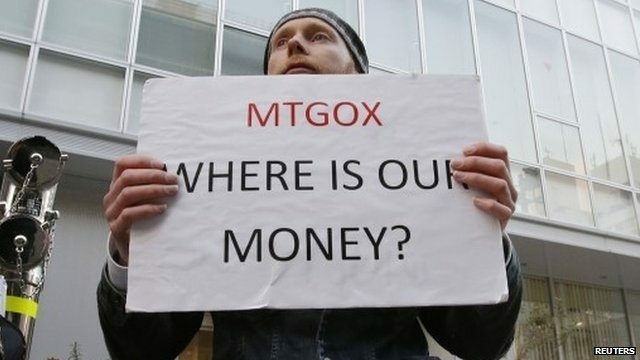 The only problem is that MtGOX’s bitcoins were “lost by hackers” according to disgraced ex-CEO Mark Karpeles; however, if they were somehow to be found, the recent court maneuvers allow for claimants to be credited with bitcoins instead of the cash amount of their worth during the time of GOX’s collapse. This means they could be privy to a 10-fold gain if the original coins were ever to be recovered. Perhaps due to the continued fallout from MtGOX, Japanese regulators are pushing for 6 of their biggest cryptocurrency exchanges to exercise more oversight over their customers, fearing that a lack of funds activity monitoring creates an environment that enables money laundering and other illegal financial activities. A new order from Japan’s Financial Services Agency has even caused at least one exchange to stop accepting new registrants altogether as exchanges have to re-organize the implementation of their Know Your Customer (KYC) and Anti-Money Laundering (AML) requirements. The exchanges targeted by the mandate include bitFlyer, Bitbank, BITPoint Japan, and BtcBox. One exchange not effected is Bitarg, of which Yahoo! Japan recently acquired a stake, signaling the search engine giant’s foray into the crypto world. UC Berkeley has seen massive interest in the second iteration of its blockchain certificate program, with thousands of applicants already expressing a desire to sign up. The program was initially offered in 2016, with only 70 students registering that time around. The program helps prepare students for careers in blockchain technology, providing them with the basics of cryptocurrency, an in-depth explanation of the different blockchain systems, and a review of business startups that have broken ground in the field. 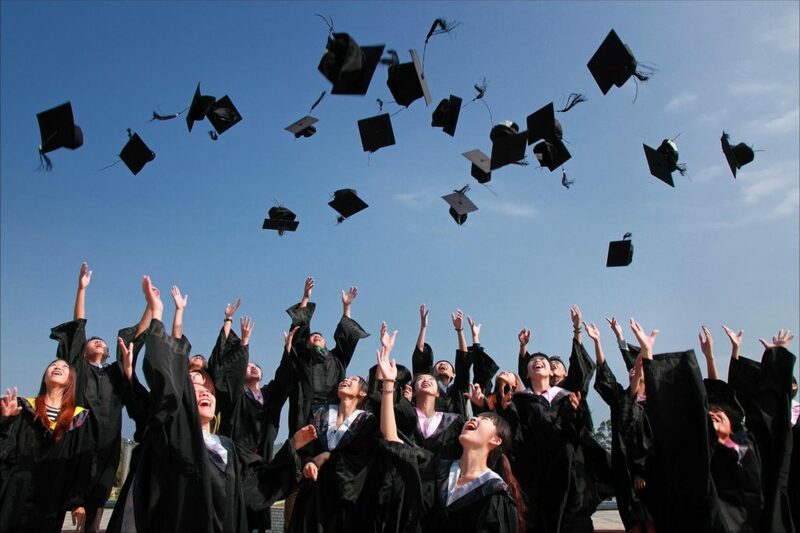 Other high-rated universities offering similar programs now include Stanford, MIT, and Princeton. A coin that was advertising itself as the “national cryptocurrency of Turkey” has proven to be nothing more than an elaborate Ponzi scheme, reports CoinTelegraph. “Turcoin” lured investors with giveaways of luxury cars and extravagant parties attended by the country’s celebrities. The coin began raising money in 2017 but drew suspicions when it ceased its promised payouts (the first sign of a Ponzi scam) earlier this month. About 100 million lira, or $21 million, was lost by investors in total, and the main operator remains at large. A France-based darknet market known as Black Hand fell to government investigators as the result of a coordinated effort between customs, the mail service and local police forces. The two-year-old market follows in the trail of The Silk Road, Evolution and Alpha Bay marketplaces. The market serviced over 3,000 members, mainly of French origin. Its administrator, a 28-year-old mother of two, does not fit the normal profile of someone usually holding the position of dark market operator, and the take-down is the first of its kind for the European nation. There are currently over 70 darknet markets still in operation across North America and Europe. Sales of several pieces of pop art from iconic artist Andy Warhol are going to be recorded on the Ethereum blockchain, in one of the first-ever type events for an art auction. Though Ethereum will be the blockchain of choice, cryptocurrencies of multiple forms will be accepted for artwork purchases. As it is estimated that the number of fraudulent pieces of artwork being sold on the market could be as high as 40%, recording transactions on a blockchain will help make it easier for future buyers to trace and verify artwork sales. Vitalik “Not giving away ETH” Buterin sure has been having a lot of fun on Twitter – and in life – these days. And why shouldn’t the 24-year-old, multi-millionaire founder of Ethereum be having fun? After dropping out of college to pursue the full-time development of his revolutionary blockchain brain child, Buterin has been not just a celebrity but world force, famously meeting with Vladimir Putin in 2017. A year after the meeting, high-level conspiracy theories abound over the nature of Buterin’s possible continued relationship with Putin, but Vitalik doesn’t seem to mind one bit.